When you need legal advice, you need an attorney that is both trustworthy and knowledgeable in the areas of the law that pertain to your case. That’s the law firm of Larry Tatum. For more than 20 years, Larry Tatum has been helping families deal with a variety of legal issues to help put your mind at ease. If you or a loved one has been accused of a crime in Loganville the best way of protecting your rights is hiring an experienced lawyer. When facing a criminal charge such as DUI, drug possession charges, shoplifting, violence or some other misdemeanor or felony charges, you need a lawyer who is comfortable in court and aggressive at trial, call Larry Tatum. We are committed to guiding you and your family through the legal process as smoothly as possible. We understand that an appearance in court, especially at a criminal trial, can be stressful. Mr Tatum will analyze the details of your charges, your arrest and the evidence to effectively defend you and safeguard your rights. Any time criminal accusations or charge occurs, the first and most important step is to contact a qualified criminal defense attorney immediately. Mr Tatum has defended the rights of the criminally accused in Loganville and throughout Northeast Georgia for over two decades. Whether you’re dealing with an impending divorce, child support issues, child custody cases or some other aspect of family law, these issues are incredibly stressful. You not only need a lawyer with the experience to represent you, but you need an attorney that will provide a personal, friendly touch. Going through a divorce or custody issue is nerve-racking enough. When it comes to family law, you want a lawyer who understands your situation, has knowledge about the law and is aggressive on your behalf. We have experience in all aspects of family law. It doesn’t matter which side of the fence you’re on, dealing with civil lawsuits can be incredibly stressful. 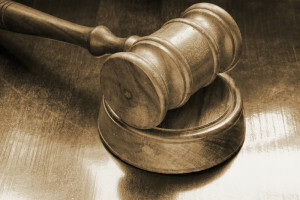 If you have a claim against another, been damaged, are being sued or have a money dispute, you need an attorney who will try to resolve the issue without litigation but one who is also ready and capable of representing you in trial. Attorney Larry Tatum, P.C. is the experienced trial lawyer you need. Not having an experienced, aggressive lawyer to represent you when a civil matter arises can cost you a lot of money, time and aggravation. Get proper legal advice immediately. Contact us today for an appointment. Serious health problems or accidents arise without warning. When they occur, you want to be ready. 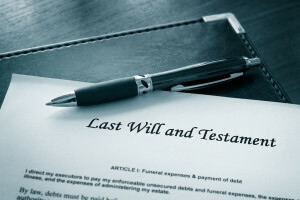 Be prepared beforehand with a will, healthcare directives and financial power of attorney. The law firm of Larry H. Tatum P.C. can quickly assist you now in preparing for the future. Few things are worse for a grieving family than to suffer through financial hardships when a loved one passes away unexpectedly. Let us help you make appropriate recommendations with a valid will. But, being prepared means more than having a will. You need a healthcare directive as well. Some people don’t understand that should you fall ill and can’t communicate your wishes, your healthcare providers need clear instructions as to how to treat you. Having a durable power of attorney in place will help ensure that your treatment wishes will be carried out. Don’t wait until it’s too late. Contact us at (770) 979-2199 to schedule an appointment. At the law office of Larry H. Tatum P.C., our ultimate objective is to represent you well. We have the experience you need to put your legal matters where they belong- successfully behind you. Whether you have a criminal charge, civil matter, family law situation or some other legal matter, call the law firm of Larry H. Tatum P.C. today. Click here to learn about the lawyer people in Dacula call.